Party Pros Detroit is now offering a Live Music Request System that guests can request music from their cell phones at events. Guests simply text “party code” to 574-314-1111 and they will get access to the Online Music Request System. The best part is that Party Pros Detroit Michigan Wedding DJ is offering this service for FREE to all of our DJ bookings. Guests can select music searching by artist, song title, genre or charts. You and your guests can also view the songs that have been requested. Soon we will have the feature where you can listen to music before you add it to the playlist. 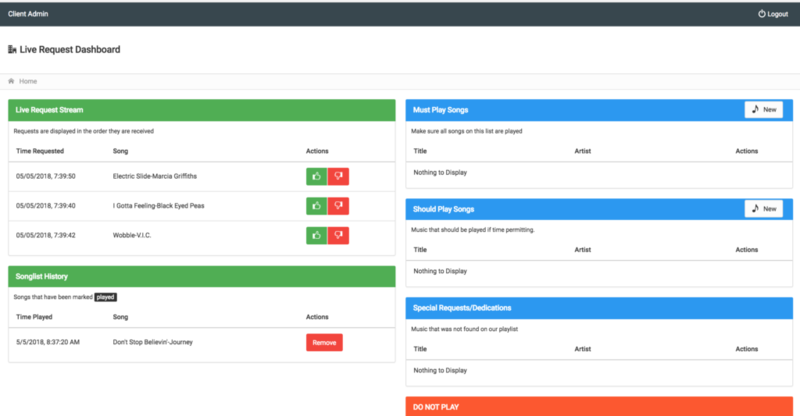 Your DJ will be able to view your song requests instantly. Keep in mind that we cannot play every song, but now you have the option to request songs right from the dance floor.